This show is an excellent opportunity to promote the Mangalarga Marchador breed in an area that attracts tourists from all over as well as a large local population. Phoenix is the 5th largest city in the U.S. The USMMA had a booth last year, we did 2 short demonstrations of the breed in the main arena and we had horses at the event for people to meet and have their pictures taken (“Meet a Marchador”). We plan to have a USMMA booth and presence there again this year, and we would like as many members as possible to be represented and participate in the USMMA plans. Be present in person! Please come, with or without a horse! You can just enjoy the show, or be a volunteer. Contact me if you would like to volunteer in any capacity. Be present in materials! Send in business cards, brochures or other information to hand out at the booth. All breeders will be listed in the USMMA breeder handout. Be present in photos! Randy Conilogue is creating a video full of Mangalarga Marchador horses that will run in a continuous loop for all three days of the event.Below are more details and deadlines about the Mane Event. 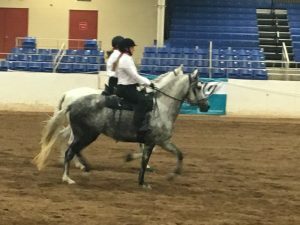 Please note – organizing this event requires time from our volunteers, and the deadlines listed below are critical to allow sufficient time to properly produce the quality presentation that we all want to showcase our extraordinary breed. The Mane Event has arranged for discounts on 2 airlines to fly here. Please see https://scottsdale.maneeventexpo.com/attend/getting-there/. They also will be arranging discounts with hotels, but these are not listed on the website yet. Westworld does have an RV park so you can camp there. The USMMA Mane Event Committee will be trying to arrange several events and get-togethers during the Mane Event, like an open barn tour of the Marchador farms in the Phoenix/Scottsdale area. More details will come out as these plans are developed. DEADLINE FOR NOTIFYING THE USMMA MANE EVENT COMMITTEE IS FEBRUARY 14. Your horse must be registered with the USMMA to participate with the USMMA MANE Event program. You are responsible for the reserving a stall and the cost of the stall (includes shavings), and for a share of the stall we will use to store grooming items, etc. Horse owners must purchase food for their horses and provide a water bucket and items to clean their stalls. You are also responsible for being there with your horse for the “Meet a Marchador” time slots. Stall rental is $110 for the weekend or $55 for a day. Shavings and feed are purchased at Westworld. DJ Sims is in charge of the horse demos and barn presence. Our goal is to maintain rider and horse safety, and to show the gait, versatility and temperament of the MM. We are likely to be in the large indoor arena at Westworld. If your horse has not been in a venue like this you need to come the day before the event begins (March 29) so she can see how your horse reacts. She has the final decision regarding participation. We will try to have the Mane Event assign USMMA horses in stalls close to each other. There will be a small table for literature and a release form for people that want to get close to the horses and take selfies with them. Stalls will have signs with the MM logo, a description of the breed, the horses’ name and picture (you must provide the copy for this) and an “in case of emergency” contact list for your horse. We will rent one stall for all of us to store tack, grooming and first aid supplies, etc. This will be locked at night. We are not allowed to sell anything from the booth. We can only provide information. We will have information about the breed and a list of USMMA breeders at the booth. If you have business cards, flyers or literature about your horse business that you would like displayed/distributed, please send to us already printed. You can use FEDEX OFFICE or VISTAPRINT to print on-line and deliver the completed order to us. Please send to Jeff Bosley, 29719 N 139th St, Scottsdale, AZ 85262. This is free for USMMA members. All business cards and flyers will be displayed at no charge for our members. If you wish to send a banner or larger display, we will be charging a $100 sponsorship fee. That fee will include return shipment to you. Horses need to be registered with the USMMA or the ABCCMM to be included in the video. Photos need to be high resolution and JPEG files. That is determined by the number of pixels and thesize of the file. JPEG files should be at least 1M if they are truly high resolution. We would prefer photos to be a horizontal format. Showing vertical photos on a large screen TV is not as attractive. We would like to fill the screen. We would like to get photos of EVERY single Marchador in North America to be showcased in our video. However, the video producer, Randy Conilogue will decide if your submission can be used. We will make every effort to work with you to help you create or find photos of your horse that we can use. Please email photos to [email protected] If you have a large number of files, you can use dropbox.com and just email the link to your photos to Randy. OPTIONAL - you can also send us video, but most video is not high enough quality to air on a large screen.